black will function as a separate division within Cell C which is focused on delivering entertainment and content. 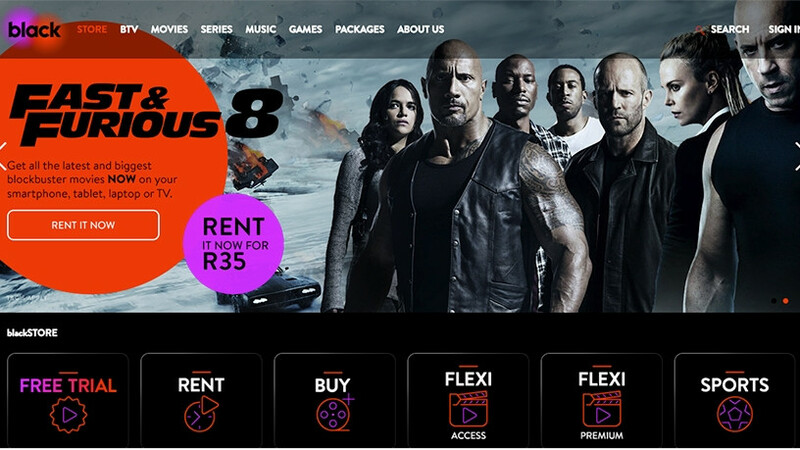 Cell C today unveiled its new video-on-demand (VOD) platform, due to launch in two weeks. The platform, called Black, also functions as an interactive ecosystem which enables services like gaming, sports betting, travel and hotel bookings as well as video-on-demand content and live TV streaming. Black is being introduced as a new separate division within Cell C which is focused on delivering entertainment and content. However, it is network agnostic; meaning it will be available to any consumer with an Internet connection, not just Cell C customers. "Content services around the world are growing as fast as mobile did in its early days and true to Cell C's form we are embracing content by bringing Black to South Africans," says Cell C CEO Jose Dos Santos. From Friday 3 November the platform will be live but will only officially launch on 14 November. Cell C says that around the world, on-demand content is growing at incredible rates with international research from Nielson showing that almost two-thirds of the global population is watching some form of on-demand content. "In comparison, the same content is only being served to one-fifth of African viewers. We know that the pricing and flexibility of Black will change that," says Dos Santos. At launch, Black subscribers will have access to 5 000 movies, series, music choices and documentaries, which will include both international and local content. Customers will be able to access 60 live TV channels, which include music, news, travel and lifestyle, movies and children's content. In addition, consumers can purchase or rent the latest movies, which will also be available for download for offline viewing. A differentiator for the platform, compared to other VOD platforms like Netflix and ShowMax, is that Black will offer sports streaming. The company has already secured the streaming rights for five top European football club channels with more due to be announced. The current TV channels are MUTV, Barca TV, Liverpool TV, Chelsea TV and Real Madrid TV. The platform does not require a monthly subscription, instead customers can buy daily, weekly or even weekend content. "This really opens the market to more South Africans looking for content, providing affordable and relevant content to those that have not had access to it before," says Dos Santos. "We are also in discussions with local production companies to bring South African fans top local content and provide a platform for local talent to showcase their work. We have already started work in that arena with the launch of two Cell C originals in last year's award-winning Break the Net on our Reality App and this year's Hangman, which is currently flighting on eTV," adds Dos Santos. Cell C customers don't need a credit or debit card but can pay for content with prepaid airtime. For now contract customers are excluded but Dos Santos says Cell C is busy integrating its systems to make this possible. Pricing for the platform varies depending on what package you choose but the most expensive package is R389 per month, which includes all streaming content and most other content but excludes new movies that you will need to buy or rent for an extra fee. One subscription allows access to up to five devices, two of which can be watched simultaneously. "This is just the start of what we will bring to the South African market, you'll have to wait and see what we do next, but I can tell you this much, we will constantly strive to disrupt the market," concludes Dos Santos.